We are pleased to announce the certification of our Quality System to AS 9100 Rev C to go along with our existing ISO 9001:2008 status. The decision to add AS 9100 Rev. C was a natural progression for us with our equipment, machining knowledge and accuracy with difficult materials. Our Okuma Palletace / Fastems Flexible Manufacturing System has given us the vehicle to shorten lead times, improve pricing, even on smaller batch sizes, and be better prepared to accommodate schedule and quantity changes for repeat horizontal machining. 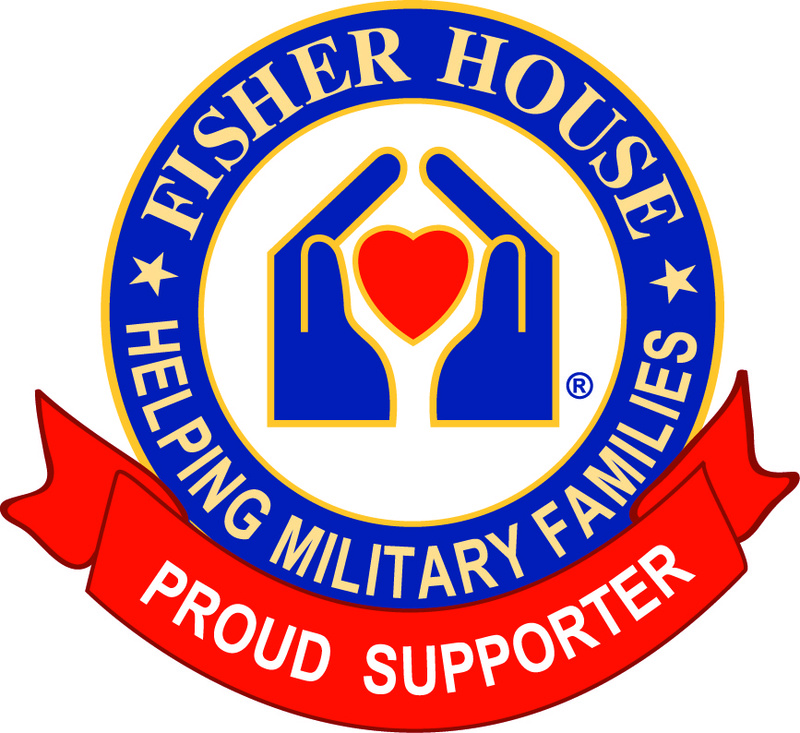 We have been fortunate to have been busy through the downturn in the economy over the past several years, but with the improved efficiency and flexibility of the FMS we are pleased to have capacity there to help with meeting the challenges of our existing and our new customers. We have also recently joined GIDEP to better accommodate the needs of our current and future customers in Industry and Government. It will allow us to share technical information and to have a more robust counterfeit parts knowledge base at our disposal. 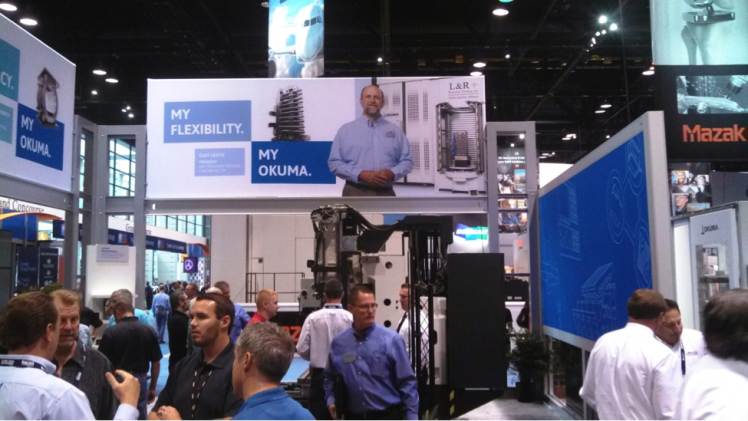 L & R was pleased to be a part of Okuma’s presence at IMTS held in Chicago from September 8th – 13th. Okuma came into our facility earlier in the year and conducted a photo shoot that resulted in two large banners that became part of the Okuma booth. One was of Clay touting the virtues of the Flexibility of our Okuma Palletace / Fastems Flexible Manufacturing System. The second banner featured Chris Ferguson of L & R and Dan Harris of Morris South, our Okuma distributor, promoting that relationship. 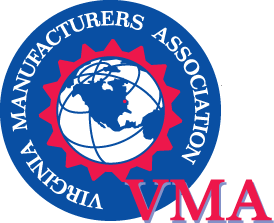 It was the fourth largest show in IMTS history with registration of 114,147 people representing 112 countries. We would like thank Okuma for the exposure and were proud to have such prominent spots in their booth at IMTS. We have added to our 5 axis offerings with an Okuma MB 56 VA – High Column Vertical Mill which allows us to utilize a larger Tsudakoma trunnion table. It adapts an extremely rigid double column structure and Okuma’s Thermal Friendly Concept to allow for unrivaled dimensional stability over long, continuous runs. It is equipped with the 30 h.p. 15,000 rpm Integral Motor Spindle, full five axis index capability, 41 x 22 x 18 travels, 1,574 ipm, 40 taper, 32 tool changer with bidirectional spindle cooling. We have also added to our surface grinding capabilities with a Chevalier FSG 3A Semi-automatic grinder. It is high precision with a 12 x 24 table and paper filtration for the coolant and a Blanchard Grinder Model # 18, which is a 42” diameter machine, to better accommodate our in house expedited deliveries.